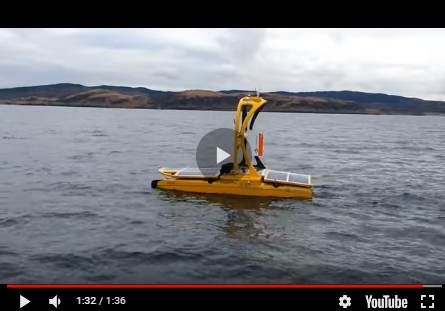 Eelume AS has released live video footage of its underwater intervention vehicles. With the support of Kongsberg Maritime as a development partner, the Eelume robot has presented itself as a snake-like vehicle designed to live permanently underwater and carry out underwater intervention tasks that would normally require the mobilisation of expensive surface vehicles for divers or launch and retrieve remotely operated vehicles (ROVs) or autonomous underwater vehicles (AUVs). The footage captured at the PREZIOSO Linjebygg Subsea Test Center during trials in the Trondheimsfjord shows the potential of the Eelume vehicle to improve inspection and light intervention operations on subsea installations. The modular, snake-like design allows the Eelume vehicle to access hard to reach points on subsea structures while its ability to shift into a U-shaped dual arm configuration allows intricate interactions using a diverse toolset including torque tools, grippers and specialised maintenance equipment. These jobs account for a large part of the total subsea inspection and intervention spend. Eelume’s recent demonstration was the culmination of the last year of development work on this exciting project, according to Richard Mills, director of Sales Marine Robotics, Kongsberg Maritime. When completed, the vehicle will operate with a wide range of tools and sensors including Kongsberg positioning, communications and potentially acoustic inspection sensors and chemical sniffers. Everything is progressing on schedule for the intervention demonstration during the latter part of 2018. The system has proven itself to be a capable inspection tool able to reach confined areas. Eelume AS is a company sourced from the Norwegian University of Science and Technology (NTNU), and has teamed up with the NTNU Technology Transfer Office, Kongsberg Maritime and Statoil to develop the next generation of underwater robots.